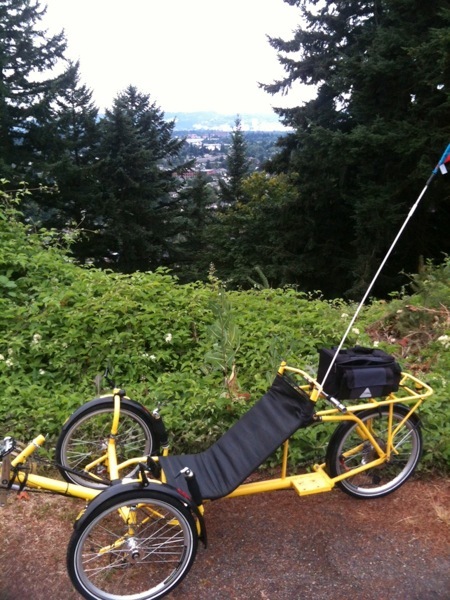 Barbara from the OHPV forum rented me one of her trikes to use while in Portland. The Greenspeed clone was originally built with e-power and is heavier than the trikes I test rode earlier last week at Coventry Cycle. I am happy to have any trike to ride while here and am grateful for Barbara’s generosity. 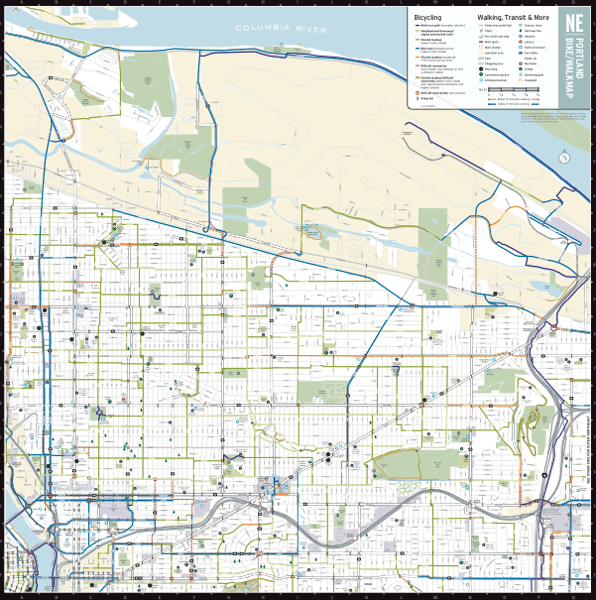 Portland is crisscrossed with bike paths. See sample map below. I rode each morning around the north east part of the city and lengthened my rides each day. Today I decided to climb Rocky Butte (177m) as you can see from the elevation graph above. The following photo was taken from the top looking out over the city, before the long fast decent back to the B&B. Note the thick steel plate behind the seat where the original motor was mounted for electric assist up the hills. We move further south tomorrow to another B&B on Hawthorne Ave for a few days before the Writers Conference. I look forward to triking around the south east part of the city each morning.